Are you ready for a society driven by hydrogen energy? The fact is, no matter if you are ready or not, a hydrogen energy-based society has arrived. Hydrogen as an energy carrier is clean, cheap, inexhaustible, carbon-free, and high in energy and power density, which is perfectly beneficial for mankind to achieve the long-sought goal of a sustainable world. However, hydrogen exists as a gas at normal temperature and pressure conditions, and its energy density is quite low in a normal gaseous state. 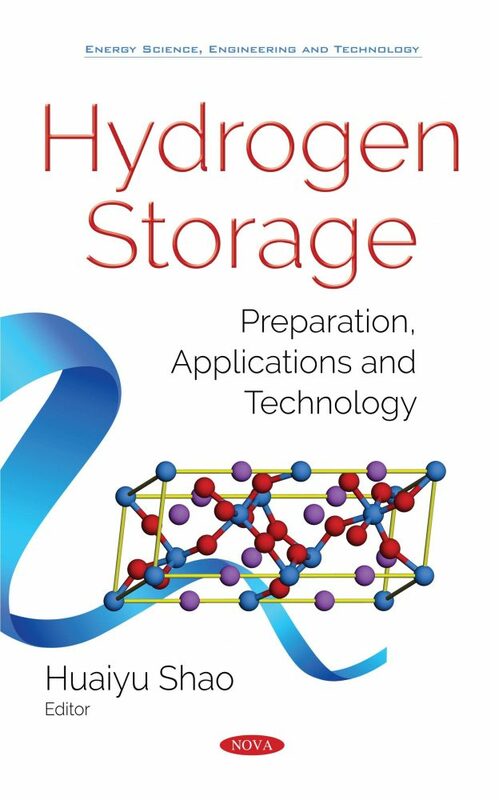 Thus, the storing of hydrogen becomes critical and actually, a convenient, high-density and low-cost hydrogen storage system is the key to enabling technology for the wide realization of a hydrogen energy-based society. However, finding this proper solution is challenging since many factors should be considered, such as high capacity, good cycle ability, fast kinetics and proper thermodynamics. • How they see the possible future directions of hydrogen storage technology and a hydrogen energy-based society. Audience: Researchers, engineers and technicians in hydrogen energy related field.